l amino acid L-tryptophan may reduce the amount of time it takes to fall asleep. Improved sleep quality. L-tryptophan has sedative properties that may increase sleepiness and reduce the time it takes to fall asleep. Why Choose L-Tryptophan Over 5-HTP? L-tryptophan has been used by physicians for many years to help manage deficiency symptoms, some of which include anxiety, nervousness, insomnia, excessive appetite, and depression. 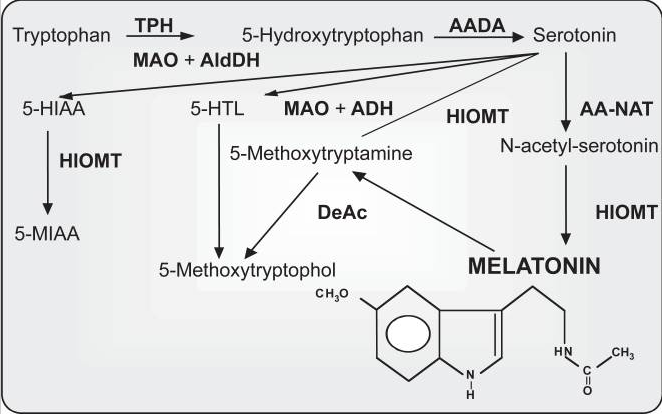 L-tryptophan is converted into melatonin. Enzymes: AADA, aromatic L-amino acid decarboxylase; AA-NAT, aralkylamine N-acetyltransferase; HIOMT, hydroxyindole-O-methyltransferase; MAO, monoamine oxidase; TPH, tryptophan hydroxylase. crease its serotonin levels, be it to facilitate digestion or enhance mood, it activates the conversion of L-tryptophan into 5-hydroxytryptophan (5-HTP), which is then converted into serotonin. The first step of turning L-tryptophan into 5-HTP sort of resembles a switch that tightly controls serotonin production and keeps its numbers within a healthy range. In contrast, 5-HTP supplements are rapidly turned into serotonin without any control. The sudden surge of the mood-enhancing hormone is ideal for immediately relaxing the body, but poses some risks because it can increase serotonin beyond healthy levels, which can in turn cause side effects. So, ingesting L-tryptophan allows the body to generate as much serotonin and melatonin as it needs in order to be healthy, while 5-HTP elevates these compounds regardless of the body’s needs. "line-height: 18.0pt;">Clinical studies using L-tryptophan have demonstrated its potential usefulness in improving sleep quality on a number of fronts. In this investigation, 10 patients with sleep disturbances were evaluated for sleep patterns on 3 consecutive nights after taking no treatment the first night, a control solution the second, and 5 grams of L-tryptophan the third. Compared to the other groups, the L-tryptophan group was found to have significantly decreased sleep onset latency, increased sleep period time and total sleep time, and improved subjective feelings of sleep quality based on a self-rating scale. In this double-blind, placebo-controlled investigation, 20 male insomniacs were given either a placebo or 3 grams of L-tryptophan for 6 consecutive nights. L-tryptophan was found to have no noticeable effect on nights 1 through 3 but lowered the amount of time it took to fall asleep on nights 4 through 6. L-tryptophan did not alter brain electrical activity during sleep. In this placebo-controlled, double-blind investigation, 18 women with difficulty falling asleep were given a placebo, 1 gram of L-tryptophan, or 3 grams of L-tryptophan every night throughout the course of a 3-month period. Sleep recordings were taken on 10 distinct evenings. The 3 gram dose was found to significantly reduce sleep onset latency on some of the nights compared to the other doses, but have no measurable impact on REM sleep, slow wave sleep, or wakefulness. In this randomized, placebo-controlled, double-blind investigation, 10 adults were given either a placebo or alternating 1.2 and 2.4 gram doses of L-tryptophan. Compared to the placebo, both doses of L-tryptophan significantly reduced sleep latency, and the 2.4 g dose also improved subjective sleepiness. In this investigation, 15 adults with sleep apnea were given a 2.5 gram dose of L-tryptophan (L-T) before going to bed. Polysomnograms demonstrated significant improvements in obstructive, but not central, sleep apnea. L-tryptophan also increased REM sleep time and shortened REM latency. In this double-blind, placebo-controlled investigation, 20 adults were given either a placebo or 2 grams of L-tryptophan early in the morning while having their brain activity recorded. Compared to the placebo, L-tryptophan was found to increase subjective ratings of sleepiness, which coincided with an increase in theta brain wave activity. Take L-tryptophan with liquid carbohydrates, such as diluted juice, to optimize absorption and passage through the blood-brain barrier. Natural L-tryptophan bound up in protein is easily accessible in protein-containing foods, such as soybeans, cashews, chicken, and turkey. L-tryptophan seems to make it easier to fall asleep. We recommend taking L-tryptophan for inducing sleepiness and reducing the time it takes to fall asleep. Start with 500 mg of L-tryptophan supplements. 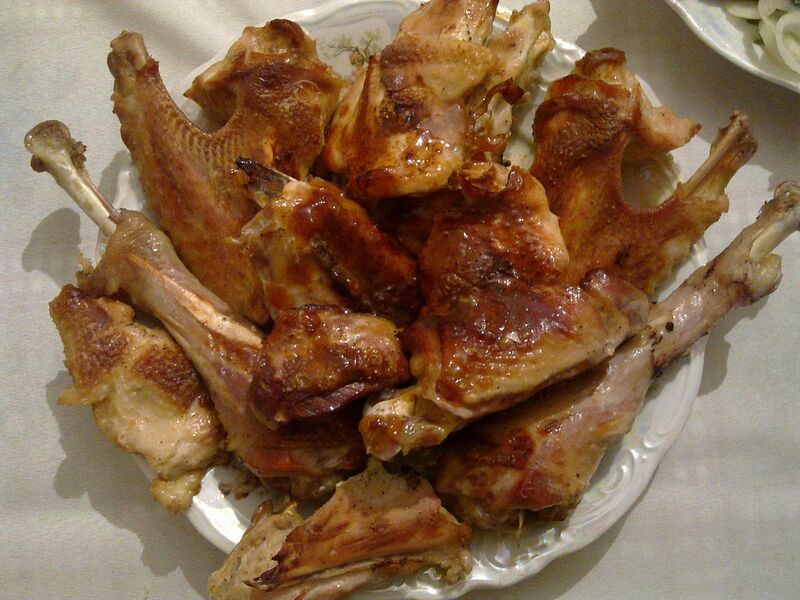 We recommend starting with a 500 mg dose of L-tryptophan before bedtime, although up to 2 grams may be taken per day. Does Tryptophan prevent Glycine etc “GABA” aminino acids?